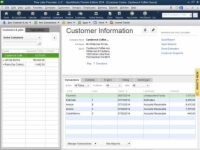 A Customer list in QuickBooks keeps track of all your customers and your customer information. 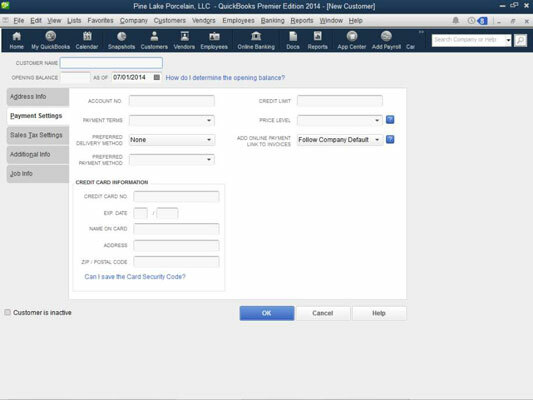 For example, the Customer list keeps track of billing addresses and shipping addresses for customers. 1Choose the Customers→Customer Center command. 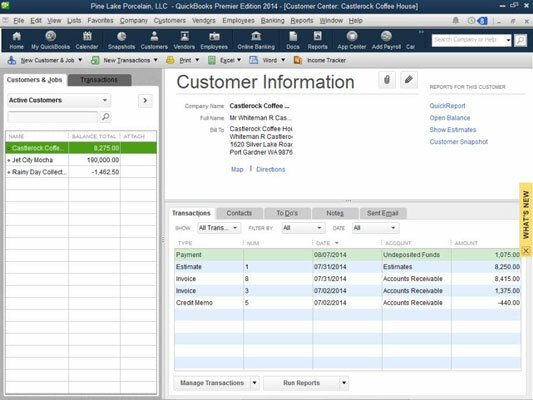 QuickBooks displays the Customer Center window. 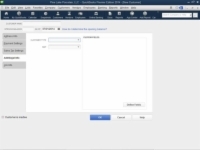 2To add a new customer, click the New Customer & Job button and then choose the New Customer command. 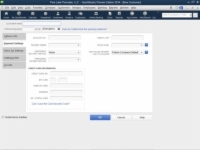 QuickBooks displays the New Customer window. 3Use the Customer Name box to give the customer a short name. You don’t need to enter the customer’s full name in the Customer Name box. That information can go in the Company Name box, shown on the Address Info tab. You just want some abbreviated version of the customer name that you can use to refer to the customer within the QuickBooks accounting system. 4(Optional) If you bill your customer in a currency different from your usual home currency, select that currency from the Currency drop-down list. If you told QuickBooks that you work in multiple currencies — you would have done this during the EasyStep Interview setup process — QuickBooks wants you to identify when you invoice a customer and collect payments from a customer in a currency different from your home currency. 5(Usual rule) Ignore the Opening Balance and As Of boxes. You typically don’t want to set the customer’s opening balance by using the Opening Balance and As Of boxes. That’s not the right way to set your new customer accounts receivable balance. If you do this, you’re essentially setting up the debit part of an entry without the corresponding credit part. Later, you’ll have to go in and enter crazy, wacky journal entries in order to fix your incomplete bookkeeping. But an exception to the usual rule exists. Although the usual rule is that you don’t want to set an opening balance for a customer, this rule has an important exception. You record your accounts receivable balance on the conversion date by setting an opening balance for each customer as of the conversion date. The sum of these opening balances is what QuickBooks uses to determine your total accounts receivable on the conversion date. 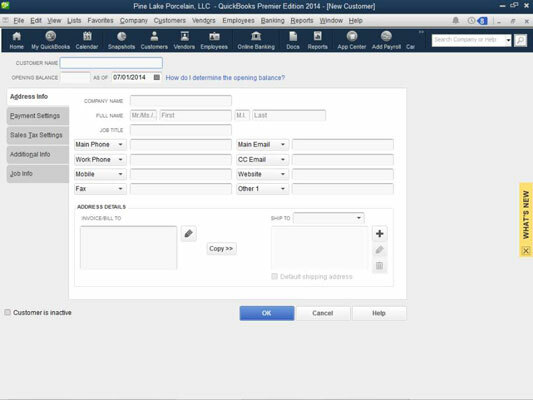 6Use the boxes of the Address Info tab to supply the company name and contact information, including contact name, phone numbers, fax numbers, e-mail addresses, billing and shipping addresses, and so on. Enter somebody’s first and last name in the Full Name boxes, and the phone numbers of your customer go in the boxes labeled Main Phone and Work Phone. 7Click the Payment Settings tab to display the set of boxes shown. You can record the customer’s account number, his or her credit limit, payment terms, preferred payment and delivery methods, and even credit card information. 8(Optional) If you're tracking sales taxes, click the Sales Tax Settings tab to display the boxes you’ll use to identify this customer’s sales tax rate. The Sales Tax Settings tab, for example, includes a Tax Code drop-down list that you use to indicate which sales tax code applies to this particular customer. You can also identify the actual sales tax item and, if relevant, the resale number. 9Supply a bit of additional information about the customer. If you click the Additional Info tab, QuickBooks displays several other boxes that you can use to collect and store customer information. 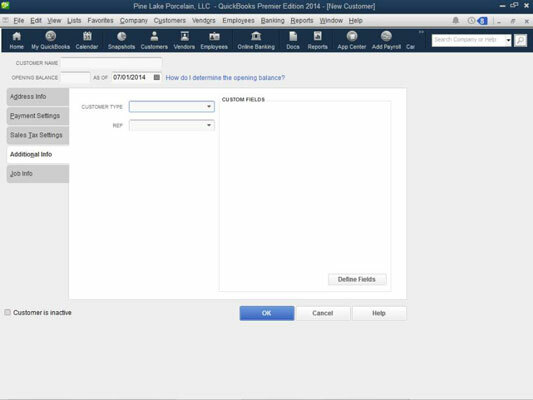 For example, you can use the Customer Type drop-down list to categorize a customer as fitting into a particular customer type. And you can use the Rep drop-down list to identify the customer’s default sales rep. You can also click the Define Fields button to specify additional fields that you want to collect and report for the customer. 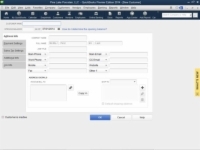 10(Optional) Click the Job Info tab to describe the customer job. The Job Info tab lets you describe information associated with a particular job being performed for a customer. You use the Job Info tab if you not only set up a customer, but also set up a job for that customer. When you finish describing the Customer, click the Save & Close or Save & New button to save your description.